The first International Bible Contest for Adults in thirty-two years took place at the International Convention Center in Jerusalem on December 12, 2012. 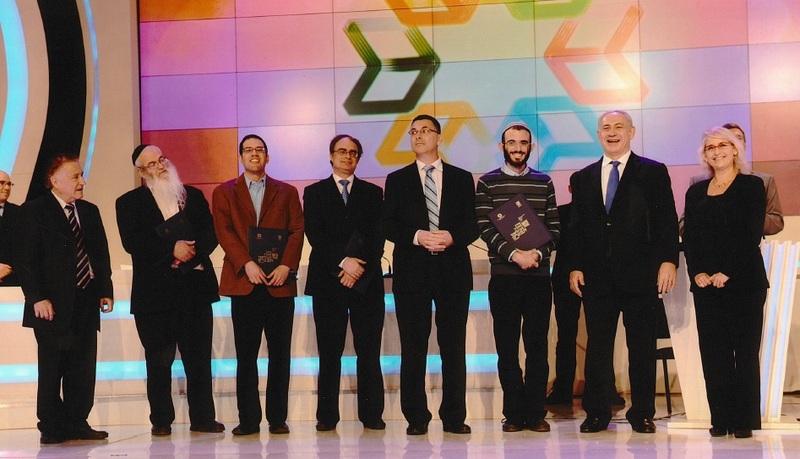 Prime Minister Benjamin Netanyahu and Education Minister Gideon Saar opened the event by lighting Hanukkah candles. Twenty-seven experts on the Hebrew Bible from around the world gathered in Jerusalem for the week of Hanukkah to participate in the contest. A written test two days earlier selected sixteen of them to appear in the televised event on December 12. Refael Meyuchas of Israel—a computer programmer for the IDF—won first place with a perfect score. Second place was won by Rabbi Ezra Frazer, who coordinates the US Bible Contest (Chidon) for Jewish Youth on behalf of the Jewish Agency. The National Finals for the US Chidon will take place on Sunday, May 5th at Yeshiva University in Washington Heights, NY. You are currently browsing the US Chidon Ha-Tanach blog archives for December, 2012.